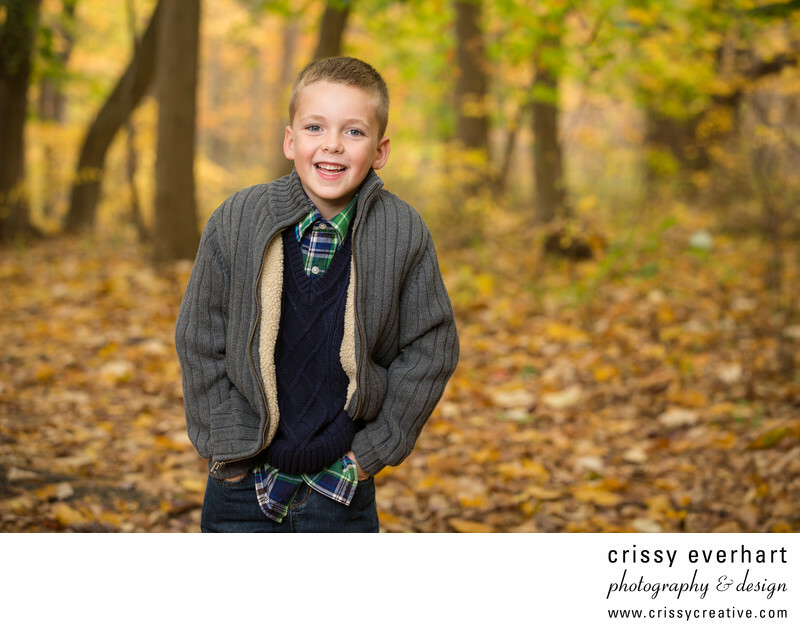 This six year old boy looks like a model for children's clothing! He has on a plaid collared shirt with a navy sweater, and wears a cable knit jacket over top, his hands in his jeans pockets. He looks right at the camera and smiles big and shows off his stunning blue eyes! Location: 351 Gradyville Rd, Newtown Square, PA 19073.